There are a few things going on around the farm which I’ll share. And don’t forget that recipe at the end of the podcast. We like to keep a close eye on the sheep when lambs are about to be born. Like goat kids, lambs are fragile for the first week or so. After that they grow like gangbusters. In preparation for births in the next month, we brought the sheep up close for monitoring. They are now in a paddock right outside my window. It’s my favorite time of the year to look out the window. Well, I don’t know about that that. I really like looking out my living room window every day. Scott built the room and it is an awesome testament to his grasp of aesthetics. Yesterday was another day of goat chasing. A tree fell on the fence. It’s the perfect opportunity they were looking for in order to venture outside their normal boundaries. A simple scamper up the tree and over the fence. Just another day where plans were altered for a couple of hours. A day in the life. We are also closely watching for the first calf. The calendar says it could be within the week. None of the cows, however, appear to be going along with that plan in this moment. Who knows, it could change tomorrow. Mostly we are looking for udders to start filling up. That can happen many days, weeks or even a month ahead of the birth – or it may be that her udder doubles in size overnight and BAM, birth the next day. You just never know. We keep our eyes on them and eagerly anticipate the new arrivals. The weather is finally providing a better environment for Scott to get those creamery walls up. I look out my dining room window and see the walls rising on the creamery. It’s a beautiful sight. I’m excited about making cheese again soon. And eagerly anticipating when I can actually make cheese in the new creamery. Today I want to bring you some great information about how traditional roles can change over time according to the needs and circumstances of the day. The term we are going to explore is garde manger. Garde manger is both a person or people and a place. The word is French for “keeper of the food”. As a physical place, it is a cool, well ventilated area where cold dishes such as salads, hors d’oeuvres, appetizers, canapés, pâtés and terrines are prepared. Other foods may be stored under refrigeration there as well. The person in charge of this area is known as the chef garde manger or pantry chef. Today, larger hotels, restaurants and catering services may have garde manger staff to perform additional duties, such as creating decorative elements of a buffet presentation like ice carvings and edible centerpieces made from materials such as cheese, fruit and vegetable carvings, butter, or tallow. How did it all start? What was it like in the beginning? Before the invention of refrigeration, the garde manger – literally, “keeper of the food to be eaten” – was a place for preserving and storing cold food until it was needed in the kitchen. This storage room or pantry then became a convenient workspace for the preparation of an array of cold foods. Two hundred and thirty years ago in pre-Revolutionary France preservation, storage and maintenance of a large supply of food and beverages was an outward symbol of power, wealth and status. It was this duty of supervising the preserving of food and managing its utilization that expanded the use of the term to include the person or people. Today, the garde manger goes far beyond a cool storage facility. It may be an entire department in a large hotel, fine restaurant, or catering outfit. These garde manger staff members focus on the preparation and creative presentation of cold food items, including appetizers, salads, smoked meats, and cheeses, terrines, pâtés, galantines. Today’s garde manger chefs earned their place in this long tradition through meticulous work and artistic expression. I’ll include images of these dishes on the website so you can put the name with the food. Here’s a brief idea of the timeline. In 3000 BC Sumerian’s began using salt to preserve meat. A.D. 1100s cold food storage and preparation became common. In the late 1500s charcuterie guilds oversaw preservation and sales of pork products. After the abolishment of the guild following the French revolution, 1790 guild members and garde manger household staffs turned to restaurants and hotels for work. Let’s look at this in greater detail. The garde manger’s original purpose – to preserve food – has been a concern since prehistory. Hunters and gatherers first faced the challenge of keeping food for later use. They likely stumbled on ways to do so, finding brine coated fish drying in the sun by the sea or hanging meat by the fire to keep it away from animals, and later noticing its dry texture and enjoying it smoky flavor. The Sumerian’s appear to have been the first to salt meat in order to preserve it. Later the Chinese, Greeks, and Romans salted fish and other foods. Cured pork such as bacon and ham, prepared in the Roman province of Gaul (now France), was served to connoisseurs in Rome, the capital of the Roman empire. By the middle ages, peasant farmers had developed many ways to preserve meat after the autumn slaughter of livestock. Salted, pickled, dried, and smoked meats filled the storerooms of the nobility. The term garde manger made its appearance with the arrival of special chambers for keeping food. A variety of food items common in the garde manger of noble households eventually found their way into medieval markets, where individual guilds, or merchant groups, began to oversee their preparation and trade. The guild known as charcuterie, for instance, prepared and sold pork products, including pâté, bacon, ham, and sausage. The guilds exercised enormous power over commerce in food and other goods until the late 18th century when they were finally abolished. By then, many noble households had also dissolved. Former guild members and garde manger staff found work in the hotels and restaurants that had begun to develop from traditional inns and taverns. Gradually a kitchen hierarchy emerged, in which different workers had distinct responsibilities or areas of specialization. In the late 19th century, Auguste Escoffier, a French chef, restaurateur and culinary writer popularized and updated traditional French cooking methods. He organized kitchen procedures and staff into what is now known as the brigade system. The garde manger, or cold foods chef, was among the primary figures in the classic brigade. Early on in the craft, a person working the garde manger station at a restaurant was limited to the preparation of salads and preserved and cold foods. Today the garde manger profession has a broader scope. In addition to traditional items such as sausages, pâtés, and cheeses, the brigade is often responsible for the preparation of salads, cold sauces or dressings, sandwiches, and both hot and cold hors d’oeuvres and appetizers. Foods prepared by garde manger appear at banquets, buffets, receptions and other formal and informal parties. The presentation of these foods often includes elaborate centerpieces and artistically designed platters. We’ve come a long way from simple food preservation and management. Now let’s focus on the beginnings – food preservation – and how far we’ve come with it. You may already be using one or more of the techniques I’ll talk about. Or maybe you are preparing yourself for the task. That makes you a grande manger or, at the very least, an apprentice. Cheesemaking is its own field. I’ve included it here as a method of food preservation, though the garde manger brigade member utilizing cheese would work a different station. Using all sorts of cheeses would be central. Creating fresh cheeses and leaving the preservation of milk via aged cheeses to other professionals would be the standard. Food preservation has been central to the garde manger from its beginnings. Preservation techniques used in the garde manger today exponentially surpassed their original purpose of keeping food safe for later consumption. They create new flavors and textures for meats and other foods. The main preserving methods of the garde manger are curing, smoking, drying, and preserving in fat. To cure a food, either dry it in granular salt (dry cure) or immerse it in a salt solution (wet cure, or brine). To use a dry cure, rub the mixture over the surface of the food. Then put the food in a container or wrap it in a cheese cloth or paper, packing it with any additional mixture, and refrigerate it for the required length of time, which varies. During refrigeration, turn the food regularly to keep it evenly coated. Large items often require additional rubbing during curing. After curing, wash the food to remove the curing mixture, and either cook the food item or allow it to mature by drying, aging, or smoking. Prosciutto is an example of a meat preserved with a dry cure. The usual procedure is to cure the ham for approximately four weeks and then hang it to air dry. It is an Italian dry-cured ham that is usually thinly sliced and served uncooked. A wet cure, or brine, is a dry cure dissolved in water. Brines usually contain sea salt, a sweetener, spices, and herbs. To make a brine, combine the mix with water, and bring it to a boil. After the solution has cooled, immerse the food in it, refrigerate, and soak for the required time. The brine should completely cover the food. Brining times will vary. After brining, rinse the food, and either cook by boiling, poaching, or baking or allow it to mature by drying or smoking. Common examples of brined meats include bacon, brisket, corned beef, and pastrami. Originally a means of preserving food, smoking is popular today for the unique flavors it imparts to a variety of foods. The main chemical components of smoke – tar, creosote, alcohol, and formaldehyde – supply both flavor and small quantities of preserving agents. The best woods for smoking are low in resin, which makes food bitter. Commonly used woods include hickory, cherry, apple, maple, oak, mesquite, and alder. Smoking alone is not enough to preserve food. Pretreat food to be smoked with a dry cure or brine to ensure a longer shelf life. After curing, air dry the food, and rub it with oil to prevent a crust from forming during the smoking process. The process for smoking depends on the method used. The four methods of smoking are cold, hot, pan, and liquid. Cold smoking, also known as slow smoking, is the best and only true method, according to the definition of smoking. The cold process imparts flavor but does not cook the food. It must be either cured before cold smoking or cooked afterward. Temperatures for cold smoking generally range from 50°F to 95°F (10°C to 35°C). Hot smoking, or fast smoking, cooks and smokes the food at the same time. Commonly used in commercial settings, this method requires temperatures above 140°F (60°C). Generally considered a hot smoking method, pan smoking also occurs at temperatures above 140°F (60°C). Sometimes called roast smoking, this method smokes food in a covered pan. Line the bottom of the pan with wood chips, and place it on a burner on high heat. When the wood begins to smoke, put the food in the pan on a roasting rack and cover sealing the edges of the pan well. Adjust heat as needed then smoke the food to the desired doneness, generally 7 to 15 minutes. This method gives food a smoky flavor without subjecting it to an actual smoking process. Liquid smoking involves the use of a liquid with a smoke flavor made by rubbing resin, which builds up on the walls of a smokehouse or chimney, with a liquid. Rub the smoke flavor liquid into the scored skin or flesh of the food, and allow it to marinate for a few hours. Air drying can be an important step before and after smoking. It may also replace smoking as a stage in preserving food items; going from curing straight to drying. Certain foods take weeks or months to air dry. A lengthy air-drying period is the final step in the preparation of various cured and cold smoked hams. The process for beef jerky and various Italian and German beef sausage products includes air drying. 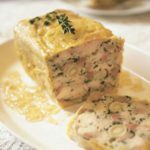 Confits and rillettes, two classic methods of food preservation, use fat as a preservative. The meat keeps for several weeks under refrigeration. A confit is meat cooked and preserved in its own fat. The meat is usually poultry, especially duck or goose, or small game, such as rabbit. To make a confit, simmer cured bird or animal parts in rendered fat, preferably the fat of the same bird or animal. After cooking the pieces, pack them in a crock, and cover them with the fat. The fat seals out the air, keeping the meat from spoiling. 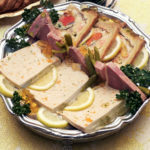 A rillette is also preserved meat. 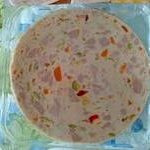 To prepare a rillette, slowly cook meat such as pork or poultry, particularly duck or goose, in broth or fat with vegetables and seasonings. After cooking the meat, mash it, and mix it with some of the cooking fat. Then pack it into a mold, sealing it with rendered fat. 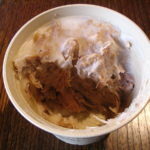 Like confits, rillettes will keep for several weeks under refrigeration. Rillettes are usually served cold as a spread for bread or toast. Confits are served hot. Cheesemaking is also a form of food preservation cheese is made by curdling the proteins in milk (either with a live culture or with a mild acid) and then squeezing most of the water out of it leaving only the protein and fat. Thus fresh milk, which is itself highly perishable, is transformed into a product that, because it is low in moisture, can be stored for months and years in a cool cellar or cave. That’s it for garde manger food preservation. On to the recipe of the day. What a coincidence. Yet another way to preserve food. People have been making butter for centuries. Humans initially used butter as a way of preserving the fat in milk. Butter rose to prominence as a spread and cooking fat in northern Europe during the Middle Ages, when it was eaten by peasants. The upper classes also ate it periodically, because it was the only animal fat allowed by Rome on days when meat was forbidden. In the 16th century it was allowed during Lent. In the early days, it took a little while to get enough cream to churn, and so it was collected over various days. Because the milk in these small old-timey dairies was not refrigerated, the lactic acid bacteria inherent in dairy would ferment slightly. This cultured butter has a very tangy and rich flavor. Most butters made in Europe still taste this way, although they are made from pasteurized cream inoculated with lactic acid. Uncultured butter made from straight-up pasteurized cream is called sweet cream butter, and is what we’re used to in the United States. At its very essence, making butter requires nothing more than agitation. What you’re doing is separating the fat from the milk. You can use a blender, a stand mixer with the whip attachment, or just shake by hand in a mason jar. For those who desire to dedicate themselves to making it regularly, you might invest in a butter churn. If you use a stand mixer, be sure to place a kitchen towel over the mixer and the bowl to stop the buttermilk from flinging all over your kitchen, which will happen when the butter globules form. The buttermilk becomes thin like water at that point. Set a pint of heavy cream out to warm to room temperature, about an hour. Pour cream into your device or into a jar with a tight-fitting lid. If using a machine, turn on low speed, then raise to medium speed. If you’re using a jar, start shaking (you’ll need some serious elbow grease if doing it by hand). First, the cream will turn into whipped cream with soft, then stiff peaks. Keep going until the cream breaks. If you’re shaking the cream by hand, you’ll hear a sloshing, then you’ll begin to feel something more solid hit the sides of the jar. If you’re using a stand mixer, you’ll see the butter clinging to the beater. This usually takes anywhere from 5 to 15 minutes or even 20 with an electric butter churn. It’s gentler. Churning by hand will take longer. In this process, you are separating the butterfat from the liquid. Once the butter has solidified, pour off the buttermilk and save it for baking (or drink it!). Scoop the butter into a bowl. Rinse the butter by pouring ice water over it and pressing the remaining buttermilk out with a small spatula or a spoon. Pour off the water and repeat the process. Keep rinsing and squishing the butter with the ice water until the water runs clear. Add some salt if you like and work that through the butter. There you have it – old-fashioned butter, churn optional! Spread on pancakes, biscuits, toast, corn on the cob, a baked potato, or whatever you like and enjoy! What makes butter yellow? It is the beta carotene that creates the yellow in cow milk. Butter made from our Normande cows’ milk is an even deeper yellow than butter from the grocery store. The reason is a combination of the richness of our Normande cow’s cream and their 100% pasture-based diet. We are ready for spring here at the homestead. I’ll bet you are too. We are prepped and ready. I’m sure spring will bring more goat escape stories to share. Seems like they come nearly every week. Expect that if you choose to raise goats. I hope the history of food preservation and presentation was entertaining and educational for you. Perhaps I’ve inspired you to investigate a new garde manger food preservation technique. You too can be a keeper of the food. Let me know how it goes for you. What did you try? Leave a comment on the website and sign up for the monthly newsletter. 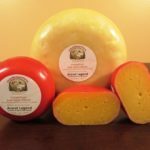 Each month you’ll get cheesey food news I’ve consumed as well as a convenient, clickable list of the podcasts and recipes I publish here. Speaking of recipes, don’t forget to try that traditional butter making recipe. If you are able to purchase raw milk from a local farmer you have the advantage of skimming that cream off and making your own butter with it. How cool is that? Find even more recipes available for download at www.peacefulheartfarm.com. Thank you so much for listening and until next time, may God fill your life with grace and peace. 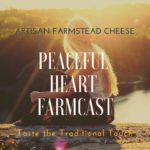 PLEASE LEAVE A REVIEW for Peaceful Heart FarmCast on iTunes.